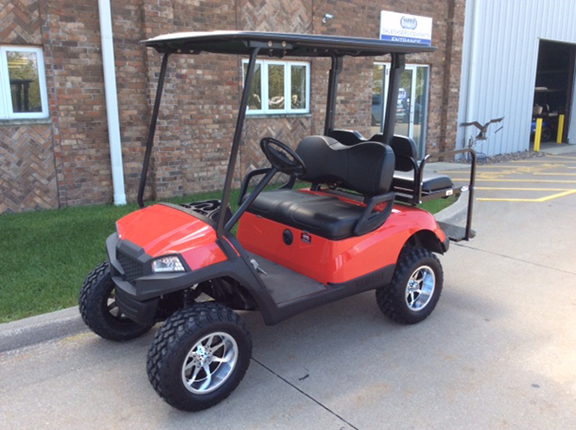 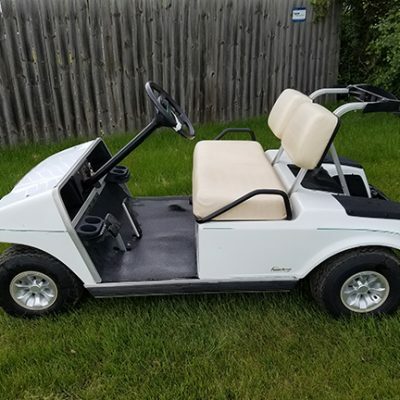 This 2013 Yamaha Drive electric golf car with a custom red painted Hvoac painted body is a great buy. 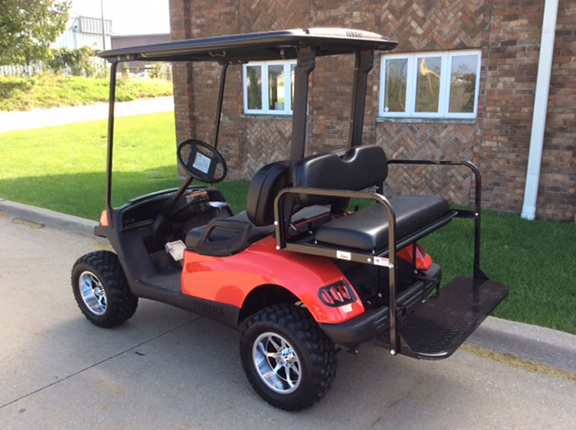 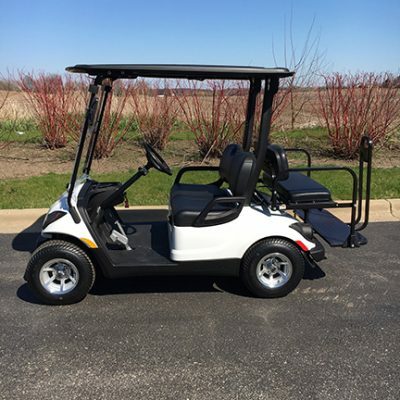 It has new Trojan batteries, LED light kit, 3″ spindle lift kit and 12″ Fairway Alloy wheels. 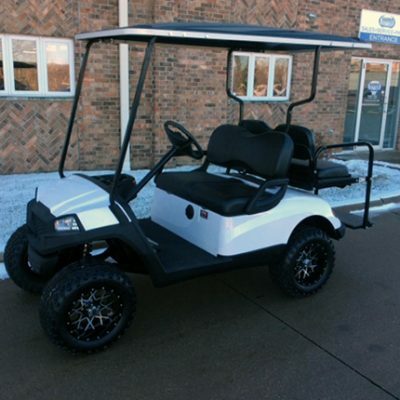 One to check out at Harris Golf Cars!